Comment: Would like to get bids on remove junipers and installing a garden planting area on the side of my condo. Will need some landscape blocks, soil and mulch installed, and relocate some sprinkler heads. Comment: front yard 40x50ft with a small walkway down the middle from the front door to the sidewalk. Comment: Not the sidewalk, but a band of dirt between the sidewalk and fence, about the standard witdth of a sidewalk. Approximately 50-60' long, and dirt is slanted down from fence toward sidewalk..
Great Falls Landscaping Companies are rated 4.70 out of 5 based on 4 reviews of 6 pros. 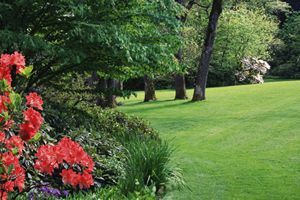 Not Looking for Landscaping Contractors in Great Falls, MT?